From corporate businesses to local universities, a character or mascot significantly helps boost your business and overall marketing efforts with simple visual identity. With our graphic design process, we strategically create a real-life symbol for your business, reflecting your company’s values and the image you want to project, while adding a unique look and feel to your brand. Character and mascot creation and implementation in your business can create an atmosphere that is appealing for kids. Whether your product or service targets kids primarily, or if you’re in the market for a new, friendly face for your company, we have the graphic design and marketing backgrounds to help continue to grow your business. 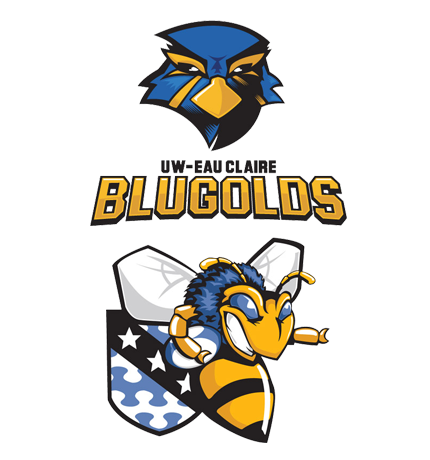 We also create athletic team mascots, including the famous “Blu” at the University of Wisconsin – Eau Claire! If your school or university is in need of visual identity, let us be the first to help. Our graphic design team will take your school’s values and traditions and create an icon for the students to look up to.